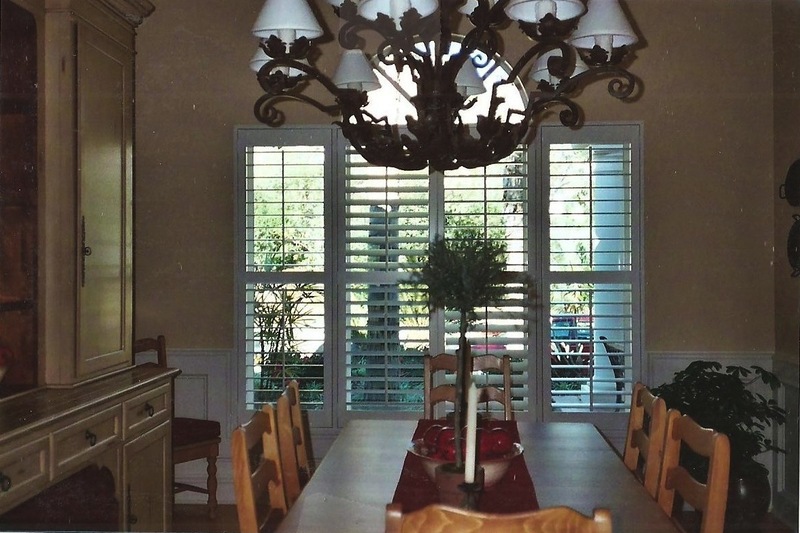 Interior Shutters... Let us show you why we do what we do give us a call so you can experience the elegance and beauty of custom shutters in your home. Whether you need extra privacy, protection from the sun and elements, or just want an elegant, traditional look for your window treatments, Shuttermart has just what you're looking for. 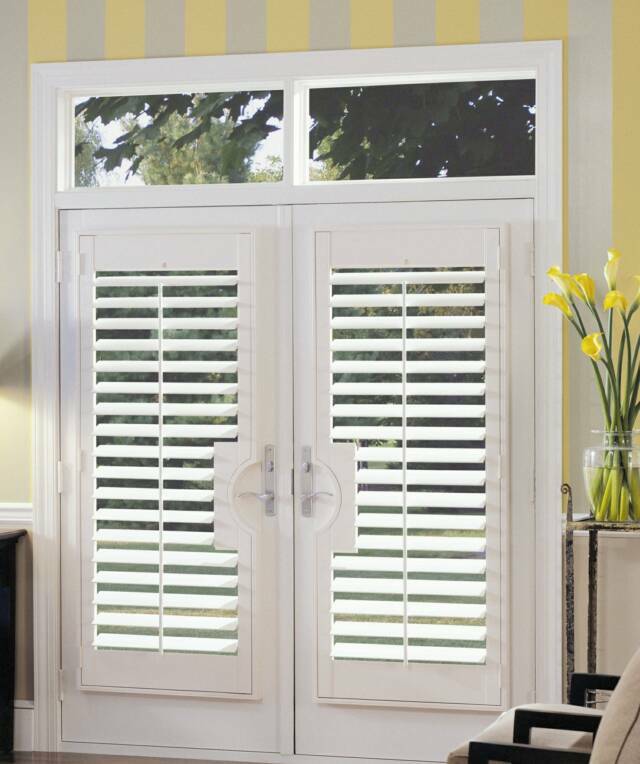 We specialize in attractive shutters of all kinds, sizes and styles. See Our New WOODTEX Finish.WoodTex Finish Only Shuttermart Polyclad has the NEW softer finish, WoodTex , that brings the warm, soft feel of finished wood with the permanent durability of a Poly surface. Shuttermart's Polyclad Hardwood Shutter: Awarded The Product Innovation Award of The Year in 1998. In recognition of its superior technology, the Window Covering Manufacturers Association has awarded Shuttermart's Polyclad Hardwood Shutter "Product Innovation Award Of The Year". Our balance of superior service, great products, knowledge, and response to your requirements and preferences will win your confidence and loyalty. Your Shuttermart Designer will help you select shutters with the right design elements and architectural qualities to meet your goals and objectives. Your Designer is an active listener who will offer smart ideas and inventive solutions you may not have considered. We use the finest quality materials, such as A1-grade kiln-dried hardwoods and incredibly durable Polyresin. Additionally, Shuttermart has invented state-of-the-art manufacturing equipment and techniques to help ensure the most enduring product for your home. Our patented Celcon notched bearing provides a fluid louver motion that makes your shutters a remarkably quiet, functional furnishing that will endure through years of use. We build your shutters using a special rabbited interlocking technique that adds an extra light-blocking factor. Shuttermart's master craftsmen will manufacture your custom shutters in our own factory - they will not be "subbed out" during any part of the process. Shuttermart offers color choices to meet any design need. With nine shades of white and our custom paint & stain match service, we can match virtually any trim in your home and provide a smooth, long-lasting finish. Window and door sizes and shapes vary widely, so in order to properly custom fit your shutters, every opening is measured precisely. You can be confident that your shutters will meet our exacting standards for fit and quality. Your shutters will be skillfully installed by expert craftsmen who take extreme care to ensure proper shutter operation and longevity. For over fifty years, we've raised the bar on quality, improved productivity and passed the cost savings on to our customers. Shuttermart looks and works just like a traditional wood shutter. The hardwood core delivers the strength to build large "door like" panels that can be wide and tall. This characteristic is found only in the highest quality wood shutters. Every shutter is built with hand picked poplar and European Baltic birch woods. We do not use MDF (fiber board), saw dust and other composite materials to build our panels. The result is remarkable strength and durability in every panel. Shuttermart is finished with a rigid Polyclad surface. Polyclad is a resin surface (polyvinyl chloride or PVC) that is clad over the wood. This surface will not scratch, dent, fade, peel or discolor. It is easy to clean, durable and virtually maintenance free. The rails and stiles are joined using three two-inch hardwood dowels. This triple dowel joinery is only found in high quality furniture and ensures that panels never come apart. Instead of the staples used in most shutters, Shuttermart uses a patented tilt rod hook design that twists and locks into each louver. These TwistLock T hooks will never pull out of the louvers. By using louvers with an air core, we created the best in insulation and eliminated solid louver warpage problems caused by the louver weight, humidity and the hot sun. And with our additional aluminum reinforcement on large windows, we can make very wide single panels that will not warp.guaranteed!